Can Compassion Exist Outside of Relationships? Someone once said that we, as a society, choose to work through charities and organizations rather than engage the poor around us. Now, if you’ve followed by blog for any amount of time, you will know that I don’t agree with that. Not completely. I even wrote on how we hurt those in need more often when we try to do things on our own rather than work with those who are more skilled and experienced in that particular need. You can read my post here. However, I also agree with the statement in what the person was trying to say. And I have to ask myself, how relational am I really? In my church, I’m part of a group every Sunday morning. It’s Sunday School, but we call it LifeGroup. It’s meant to foster relationships. I go to a rather large church, and so we break it down into smaller groups so people like me won’t feel so overwhelmed. Anyway – I’m losing my train of thought here. Stay focused with me. We talked this last Sunday about relationships. I’ve built this entire website on the idea of relationships and how stories play a big part in that. We all have a story, and we all want someone to listen to it. We deserve to have someone listen to it. But, after the discussion on relationships, I wonder how relational I am. I like to think that I am genuinely interested in the lives of those around me, but there is so much I don’t know about their story that I have to stop and ask myself – is this real for me? Am I being real? Am I doing this because I actually want to hear the stories of others, or because I want to feel good because I say I want to hear the stories of others? Do you follow me? Is it for them, or is it so I can pat myself on the back? 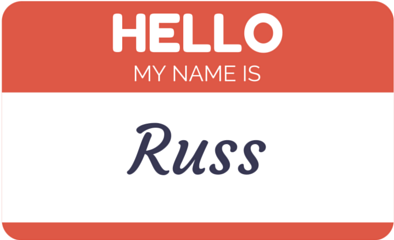 And it’s not just here, on this blog, but in everything. How real am I? How real are we? 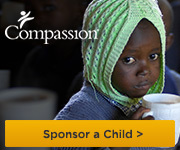 I think that’s why I love organizations like Compassion International so much. It’s not about me throwing money at a problem so I can pat myself on the back. The relationship is there. In fact, the relationship is the point. Yes, my wife does the letter writing, but I’m invested in these children. Their pictures hang on my refrigerator. Their letters have become a source of excitement in our house. These are precious lives that have impacted our life deeply. What about other areas of my life? Can I call it compassion to meet someone’s need without actually engaging them? Is that even possible? I don’t know. It is possible for us to invest our money into a cause without investing any other part of who we are. But, is that compassion? No, I can’t give myself to every single cause. There’s just not enough of me. Hence the organizations that have the resources and are logistically more equipped than I am. But, can I give without engaging the human being in need? Will that really meet their need? These are questions, not answers. I have my thoughts, but I want to know your thoughts. I believe true compassion requires engaging in relationships. I don’t believe that I can have compassion for someone without investing in their story and letting it into my life on some level. It doesn’t always have to be deep level investment, but it does have to be about them more than about me. What do you think? I would love to hear it. A reminder that November 2nd will be the day for the Musical Story Monday Blogfest. I would love to hear your stories for this, so go to the post, click on the Inlinkz button, and join me. I believe that giving without compassion can have some value for the receiver, but investing in a compassionate relationship where feelings are involved gives both parties so much more. Good questions! A letter is an important, personal, physical evidence that someone cares for them as an individual. Which can be more important than food (that they also need of course..) When I read your post, my own thoughts went to my childhood. My parents were divorced. I know that my father always paid child support, to have our needs taken cared of. He never visited though, and rarely made any kind of contact, so he didn’t know that his money went to support my step fathers alcoholism. The fact that you have relationship to the children you sponsor, also assure you that they actually are sponsored, to their benefit. In today’s world, knowing that your money actually goes to the cause is important. Thank you again for your comments. I am sorry for the experiences you had to face, but I am glad to see from your posts of the love you pour out on your own child. Hope that your day is rich and blessed. Thank you 🙂 It is!! Yours as well. I think another way you can engage with people is through prayer. I have given to charities to sponsor various needs and where these organisations provide prayer bulletins for specific individuals or situations I have felt a little more connection when I’ve used them. Indeed, prayer is powerful and a great way to connect.